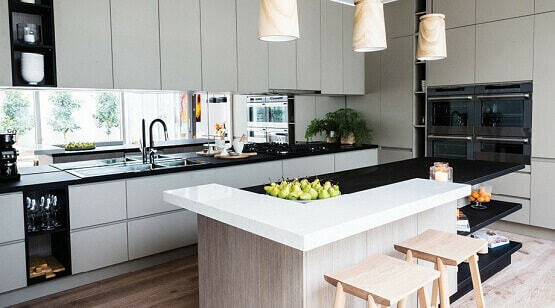 Kinsman Kitchens is an Australian cabinetry manufacturer with a proud heritage of over thirty years producing affordable, quality kitchen joinery. Modern family living is at the heart of their design, offering contemporary products to transform your kitchen, whether large or small. Learn more about the many reasons to choose Kinsman Kitchens below. 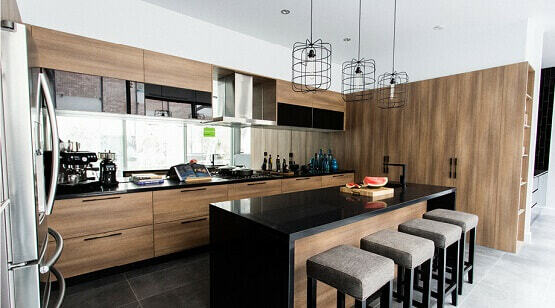 Kinsman Kitchens is an Australian-owned kitchen supplier who understands the true meaning of value. 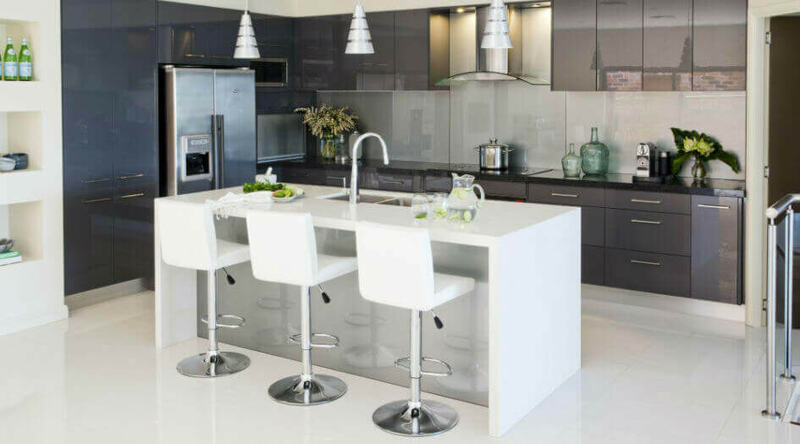 For over 30 years they have been providing Australians with affordable kitchens manufactured in Australian-based joinery. With total control over quality and cost, the benefits are passed on directly to you. Deal direct and save! The best place to start is your place. 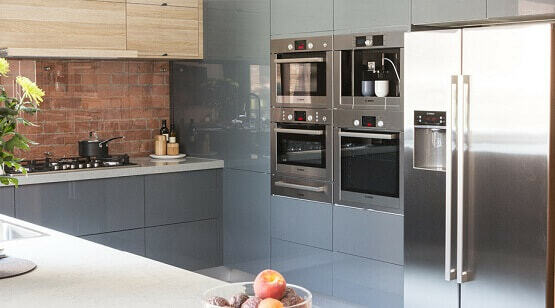 Kinsman Kitchens offer you a free in home appointment with a kitchen designer to talk through your kitchen ideas and get great advice in the comfort of your own home. Kinsman Kitchens deliver kitchen cabinets fully assembled – both screwed and doweled – with rigid cabinet construction to save you time, money and hassle. Who has time to put a kitchen together themselves?! All Kinsman Kitchens cabinets come with a 7-year manufacturer's guarantee so you’ll have peace of mind knowing you’re putting in a new kitchen that’s been designed and made to stand the test of time. 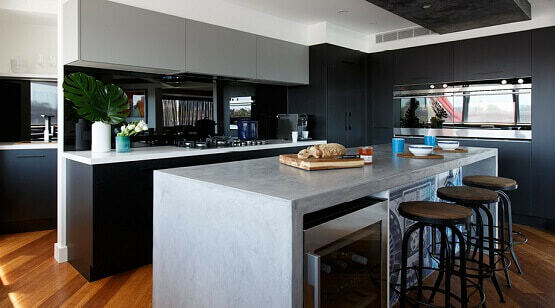 Cabinets manufactured by Kinsman Kitchens are 100% Australian made and have been accredited by Furntech-AFRDI to meet Australian and international standards for quality, strength, durability, safety and sustainability. 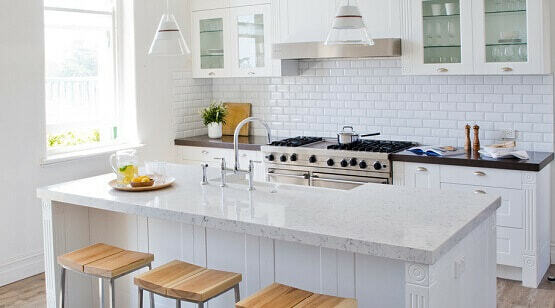 Kinsman Kitchens has various payment options available including interest-free finance to help make the financial side of your new kitchen less stressful. The Good Guys also has Payment Options available for your appliance purchases.